In the immigration industry, August has been an amazingly busy month. From the two leading industry conferences that taken place – N.Z.I.E.C (New Zealand International Education Conference) operated in Wellington on 9-10 August and the N.Z.A.M.I yearly Conference conducted in Auckland on 17 August, it was obvious that the policy declaration for modifications post-study work visa was the critical news of the month. The declaration produced on 8 August 2018 took the industry of international education by storm. 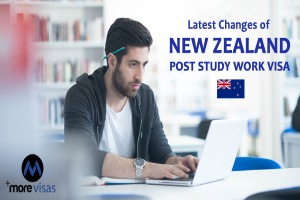 While the overall drift of these reforms is promising (i.e., intending to invite a larger volume to qualifications of degree and higher skilled immigrants that New Zealand needs for residence), there are differences in the purpose of this policy and the seen implementation of it. Though the big picture originally looked promising, gaps are beginning to point as the dust settles. Take the attention of readers to get work rights post-study of ‘returning foreign students.’ This category seems to receive the short end of the stick. It signifies a returning majority of foreign students (those who wish to study further) are expected to be displaced of any right of post-study works. To be suitable for a work visa, candidates should not earlier have been allowed a visa below these instructions except they have begun and completed a secondary higher qualification that is a bachelor degree of New Zealand or postgraduate qualification and have examined that qualification in New Zealand for minimum 30 weeks. Please subscribe to MoreVisas newsletters to get more information and updates about Visa and Immigration. We also assist with the smooth and quick visa and immigration process.